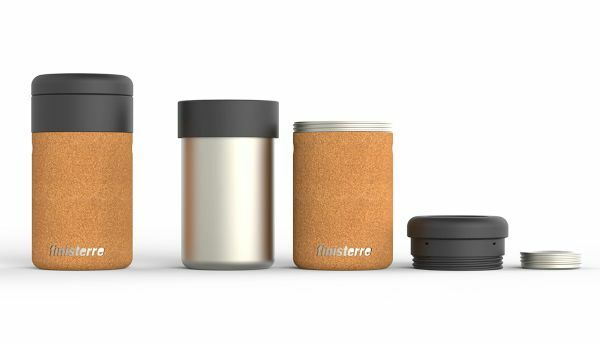 Designed by Max Ashford, Cookable Flask is a sustainable product design in collaboration with a Cornish Cold Water Surf company Finisterre. The chunky design of the main lid has a special purpose to serve, it presents a grip design that is of crucial importance in cold conditions. The deep seal of the lid ensures no leakage takes place, and the deep design enables you to store as much as twenty tea bags. The steam vents present on the lid are there for efficient cooking, as they let only a small amount of steam escape. The storage lid seals the storage compartment of the main lid, and is ideal for storing herbs or tea bags. It features a flush loop to hang the flask and an o-ring seal. A tight temperature band at the bottle’s lip ensures you do not burn your lip. When cooking, the same temperature band serves as a handle. The thread at the top allows insulation sleeve to screw in. 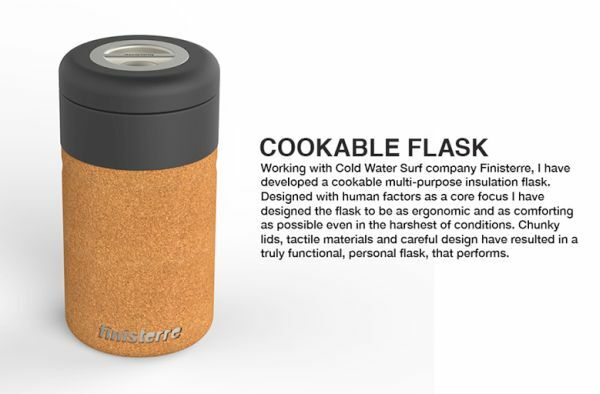 All these carefully thought features make Cookable Flask an innovative design. The main bottle is a short and a sturdy design that holds 20 ounces of fluid. 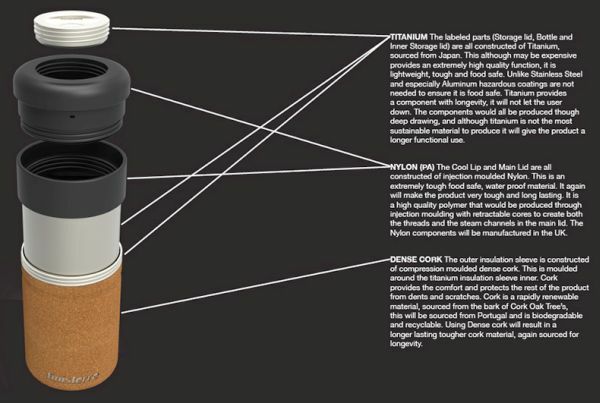 The small, sturdy, and grip design enables you to hold the flask with comfort and ease with both or single hand. The single wall flask is meant for cooking, and the wide dimensions make it suitable to be used for cooking on a variety of camping stoves. The insulation sleeve has two parts – a cork outer and titanium inner. The cork outer provides the flask the required insulation and grip. The titanium innercreates a space of trapped air that serves as a great insulation when you screw it to the heat lip. Carrying Cookable Flask in your camping bag means to carry a lighter, yet much more efficient thing along. It eliminates the need to carry a separate pan or a kettle along on a camping trip.